Picking a landscape company can be tricky. Do you pick a local company, a cheap company, a big company? Do you shop around or go with a company your friend recommended? How do you know if they’re fair or cost competitive? Continue reading about the most important factors when evaluating a landscape company. Would you want a company installing your retaining wall if they’ve never installed a retaining wall before? The best indicator of a company’s abilities is the past work they’ve completed. Look at their website to see the type of projects they showcase. Observe the materials used, the quality of construction, size of the work, and the style/design used. Does their past work reflect the type of quality you expect for your project? Reading testimonials and online reviews is a great way to gain information about a company before using them. Hearing real feedback from real customers is far more trustworthy than what a company may “promise” when promoting themselves. However, even online reviews and testimonials can be skewed towards two extremes of very happy or unhappy customers. Either way, do your research. Ask your neighbors who they’ve used and if they were satisfied with the service. Good companies usually have good reputations while bad ones do not. When hiring a landscape company, you’re inviting them into your yard and giving them permission to make a mess. Making sure they are a professional and considerate company is important. You don’t want a cut-rate company turning your yard into a mud/money pit for weeks on end. How they respond to questions or calls in a timely manner? Is their website and public image presentable? If you can’t answer yes to these questions, how comfortable are you paying them thousands of dollars to work in your yard? See how long they’ve been in business. Ask what kind of experience the staff has. 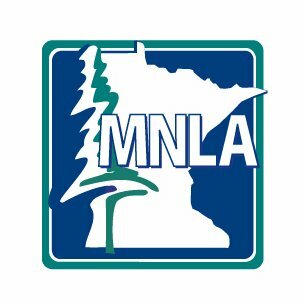 Verify they are certified with the MNLA or some other organization. Don’t go with a company that’s “winging it”. Some common certifications or qualifications of landscapers are listed below. Not listing a service on their website doesn’t mean they can’t do the job, but you'll want to make sure they're qualified. Many contractors will say yes to a job without having proper experience. Many retaining walls and patios have failed because an unqualified installer bit off more than they could chew. Most homeowners don’t want to wait for their new yard, patio, or garden. But a good landscape company is usually booked out a month or even two. If they aren’t, you have to ask yourself “why not?”. It might be that they're a small and nimble company that can work quickly. But a smaller company may not have the same resources or qualifications necessary for larger and more complex projects. Yes, they might be able to start next week, but it will take two months before they finish. You’re not out of the woods yet though. A company can have a great reputation with a fantastic design but none of that means anything if they fail to execute. Make sure you and the contractor are on the same page with timeline, cost, and expectations. If you've vetted the company early on, this shouldn't be a problem. Make sure they are experienced, qualified, and trustworthy.